Osteopath Liverpool | #1 for Osteopathy Treatments in Liverpool! 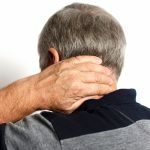 We offer you experienced hands-on therapies using the latest technological advances in back and neck pain treatments including osteopathy, cranial osteopathy physiotherapy, acupuncture. Being one of the leading experienced clinics in Merseyside, we offer our 25 years of experience in practice helping the Liverpool, Runcorn, Warrington & Widnes residents and working community, bringing together treatments available for all ages. We offer a wide range of alternative treatments on the market to suit every patients individual needs including colonic irrigation, sports massages, physiotherapy, aromatherapy, reiki, cosmetic acupuncture, and reflexology.